Deputy Speaker from 31-10-1970 to 22-03-1977 (Performed the duties of the office of Speaker from May 9, 1975 to February 16, 1976). 6th KLA [Eravipuram-RSP], 7th KLA [Eravipuram-RSP]. SSLC; Son of Shri Raman Unni; born on 18 February 1925; Wife: G. Radhamma; 1 Daughter. Minister for Local Administration from 25-01-1980 to 20-10-1981. Committee on Subordinate Legislation (1971-72), (1972-73) and (1974-75). 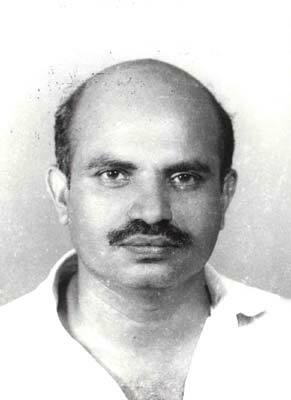 Secretary, RSP State Committee; Member, State Secretariat and Central Committee of R.S.P., KSP State Executive; Entered politics through Travancore State Congress; General Secretary, Students Congress; Undergone Imprisonment for participation in the agitations against for responsible government; Joined KSP in 1948; Joined RSP in 1950; President, UTUC. Expired on 17-02-1999; Obituary made on 26-02-1999.